Richmond Riverside provides high class office, retail, leisure and residential accommodation set within a secure managed estate. 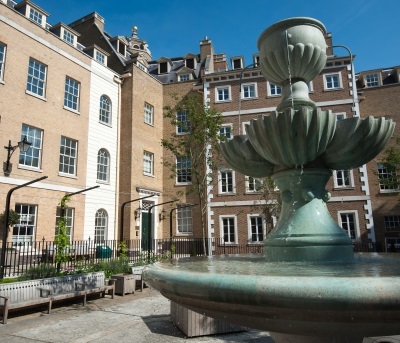 The scheme’s fine quality classical architecture and enviable location beside the River Thames and Richmond Bridge mark Richmond Riverside out as one of London’s most striking destinations. Behind the traditional exterior lies a modern, thriving, contemporary and vibrant working and living environment. Click on the photos to the right for more information on properties currently available. A self-contained 16,500 sq. ft. office building that is undergoing a comprehensive refurbishment to achieve the highest commercial standards. A unique office of 3,200 sq. ft. with exceptional river view and large private balcony.